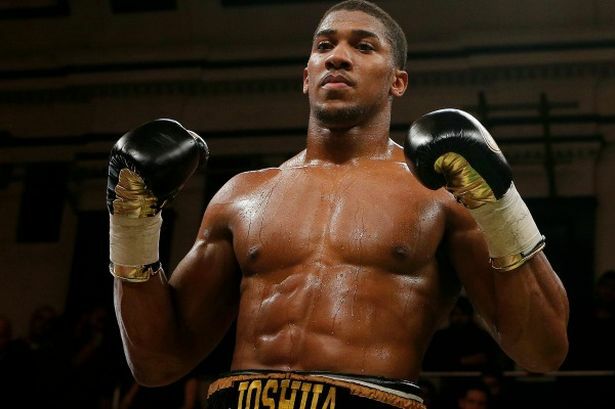 Anthony Joshua has pulled out of his fight with American Kevin Johnson on January 31 due to a back injury. The unbeaten British heavyweight sustained a pars stress fracture in his back and withdrew from the bout after medical advice. Joshua, 25, was due to face Johnson following 10 straight stoppage wins and had hoped to test his ring skills against the former world title challenger, who has never been knocked out. "I trained so hard over Christmas and the press conference with Johnson was so lively that I was really looking forward to putting in a great performance,” said Joshua. “It’s bad news for myself and for the fans that have bought tickets. I hope to be able to put on a fan zone at the weigh-in and the fight itself to meet the fans. Promoter Eddie Hearn said: "After receiving news from the scan, he was left with no option but to rest his back." Joshua is expected to be ready for his next scheduled fight on April 4 in Newcastle. It has not been determined whether it will be against the 35-year-old Johnson or somebody else. The card at the O2 Arena in London will still go ahead, with Britain's Kevin Mitchell hoping to secure a lightweight world title shot when he faces Daniel Estrada of Mexico, in a final eliminator. Middleweight contender John Ryder takes on experienced Australian Les Sherrington, while Team GB star Charlie Edwards makes his professional debut.